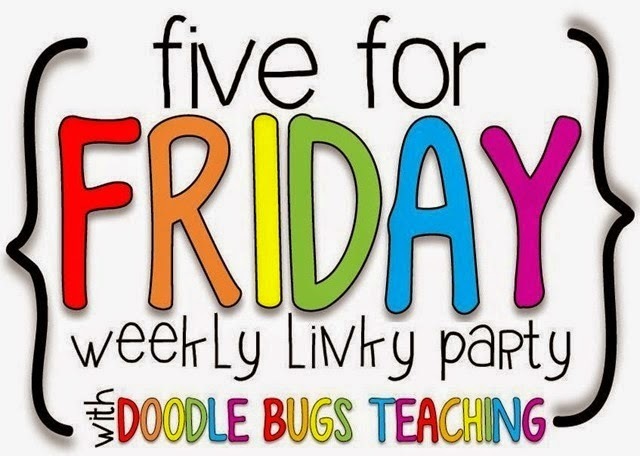 I've started this Five for Friday a couple of times this week and I am finally getting to finishing it - only it just happens to be Sunday now! Oops! I did have a great week though, it was just busy, busy, busy and I am still tired, tired, tired! On Wednesday we had our Mini-Olympics. 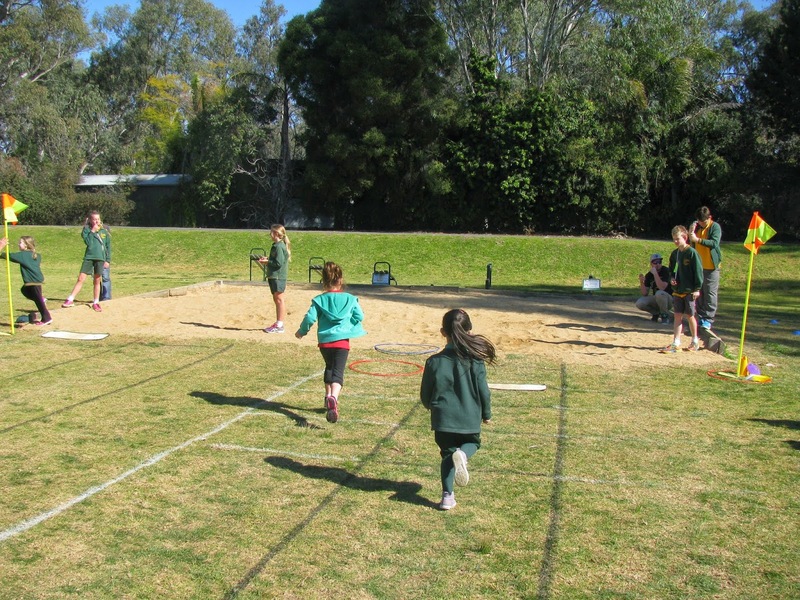 The older children had their Athletics Sports on Tuesday, then it was our turn. Watching prep/kindergarten children try and do triple jump is amusing! No, no, a HOP, then a big STEP, then a JUMP. Some still didn't manage to make it into the sand pit - remind you of anyone Mum and Dad? 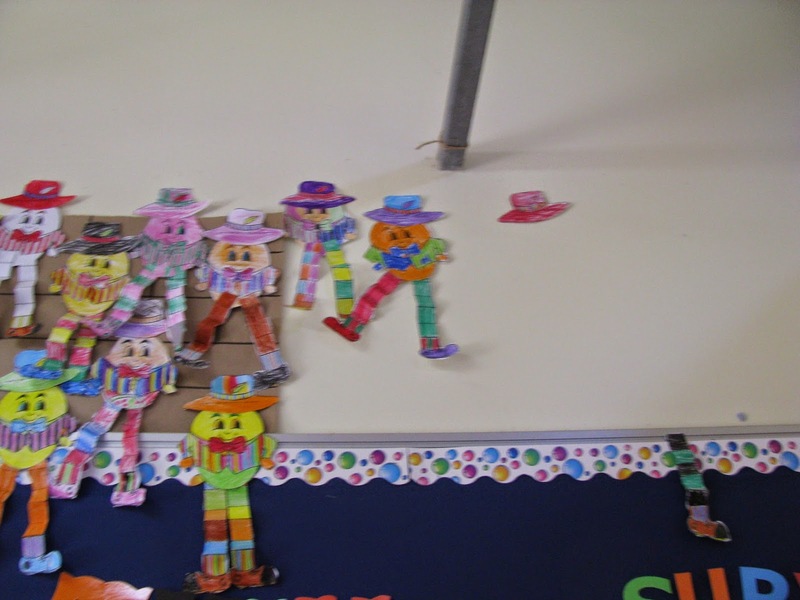 Humpty Dumpty actually fell off the wall in our classroom this week. 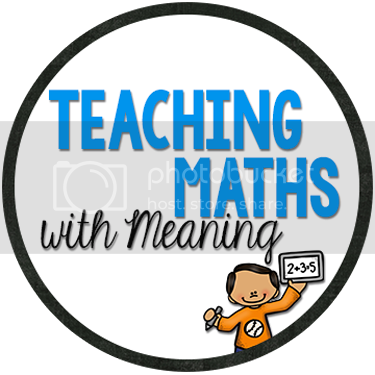 We were doing our Morning Maths and I heard it go, the children turned around to see what it was and I said "Don't worry, Humpty Dumpty just fell off the wall" - then I realised what I said - pretty funny! 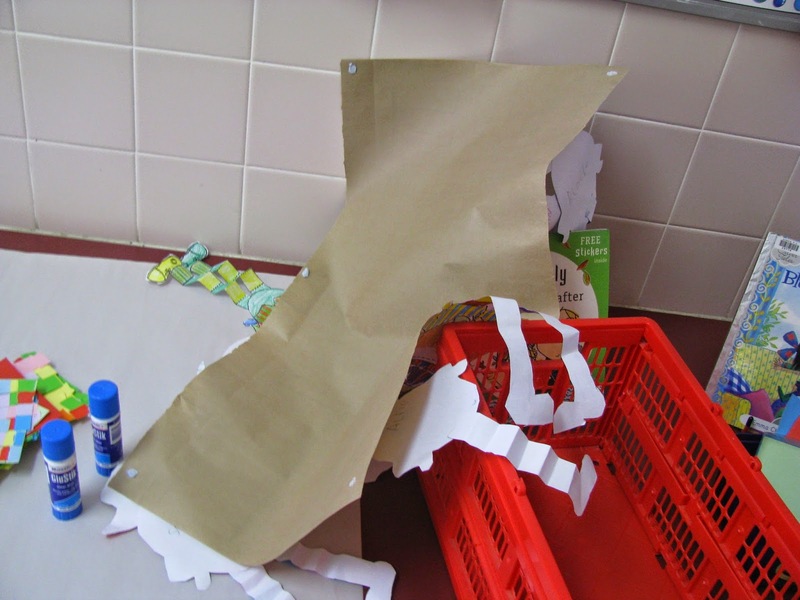 We used a big piece of elastic (that I had sewn together on one end) to make shapes. This was a great way to discuss corners and sides because children just had to count the number of children! We worked through triangle, square, diamond, rectangle, pentagon, hexagon and octagon. 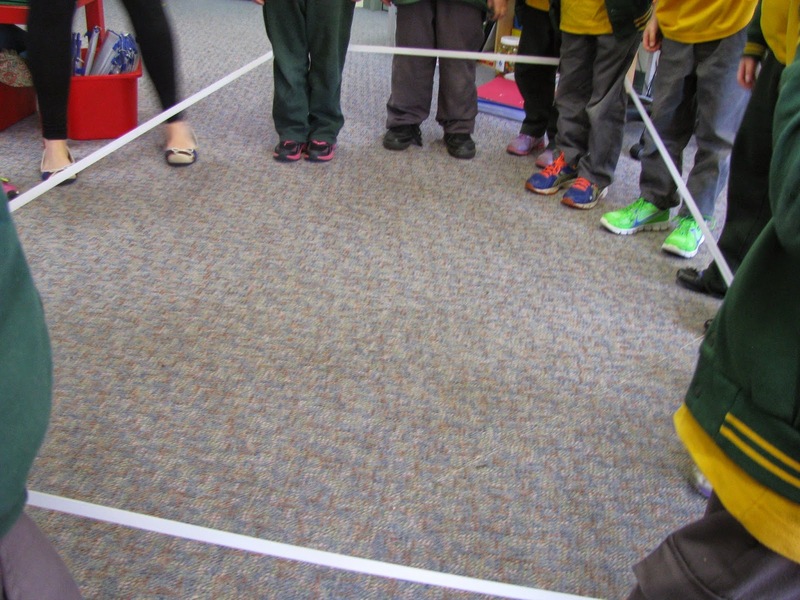 We were able to make a circle and oval using the whole class too! 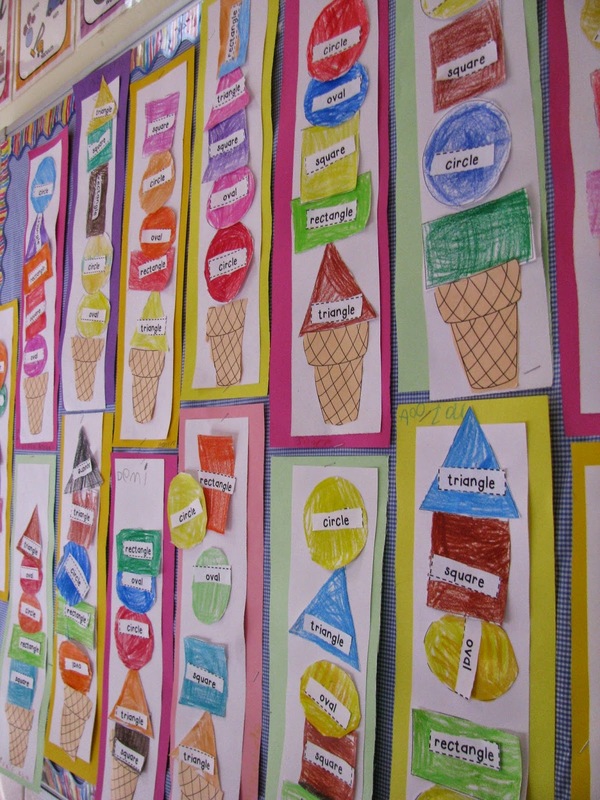 Then we made shape ice creams. The children loved this activity! We pretended each shape was a different flavour! Because it was Q week, we made a class quilt! 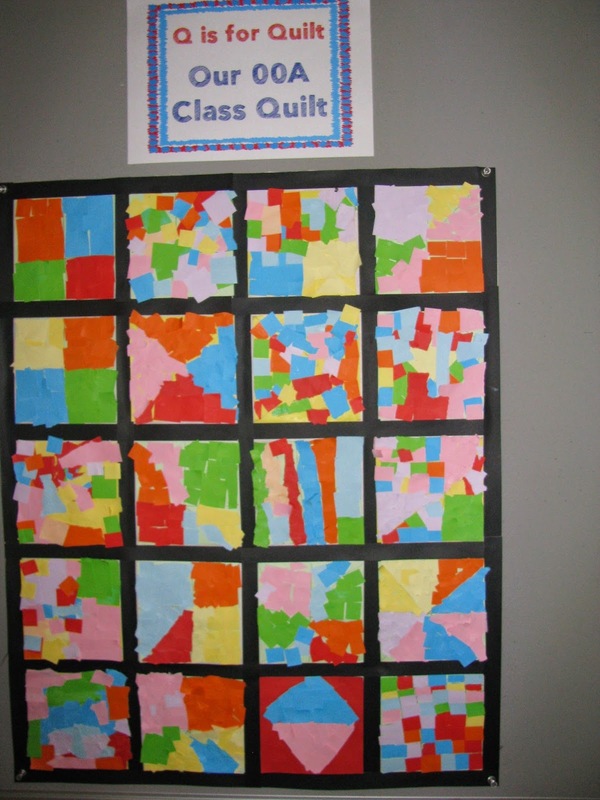 I gave each child a kinder square and a container or cut up paper and they went to town on designing a quilt piece. Some persisted with patterns more than others! Great idea about making shapes with the elastic, love it! Poor Humpty, hope he got put back together again, heehee.